We’re just days away from E3, when we’ll all gather on the internet for that barrage of endorphins that can only come from live video game press conferences full of gun shooting, cars, and more gun shooting. The show will start on a Saturday this year, thanks to the early risers at Electronic Arts. Let’s break down the full schedule. EA has decided to hold their presser on Saturday this year, setting a new record. (By 2022, E3 will start in April.) EA is promising to show more Star Wars Battlefront 2, Need for Speed Payback, and a whole lot of sports games including NBA Live, which returns this year after a very long hiatus. We’ll also see some surprises, the publisher says. Here’s hoping for BioWare’s new IP. Team Xbox is also starting early this year, vacating their traditional Monday morning presser slot and snagging Sunday afternoon instead. It’s safe to expect the official reveal (complete with price and release date) of Microsoft’s next console, Scorpio, as well as more info on Crackdown 3, Sea of Thieves, State of Decay 2, and other shooty games that may or may not involve Master Chief. For the third year, Bethesda will hold a presser to talk about its games, and we’d expect to see a new Wolfenstein, a new Evil Within, and maybe some other good surprises. Feels like a good time for Doom and Dishonored 2 DLC, doesn’t it? Other than that, Bethesda is a wildcard—they don’t have any unreleased games announced besides Quake, which is in beta. The folks at Ooobisoft should have lots to show this year. In addition to new Assassin’s Creed and Far Cry games, we should see The Crew 2, South Park: The Fractured But Whole, and some other nice surprises. Ubisoft is pretty good at that whole “just one more thing” shtick. 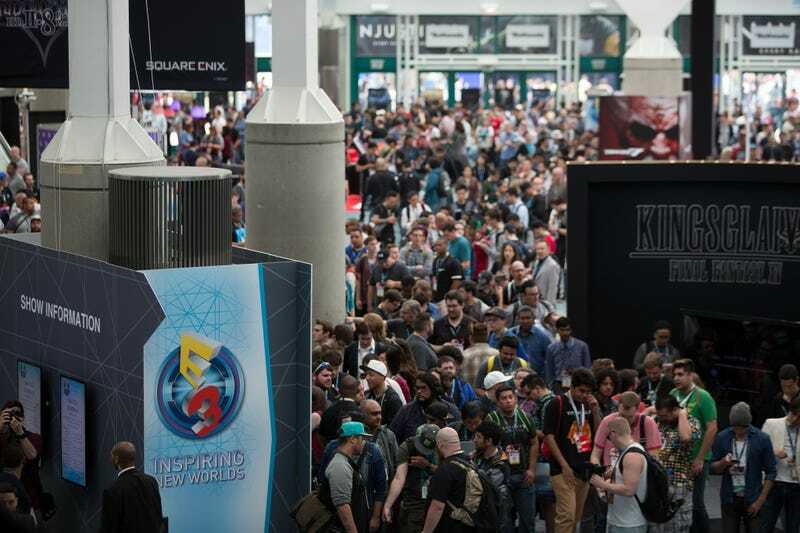 Sony likes sticking to tradition, and the PlayStation showcase is the only E3 press conference that hasn’t moved or changed drastically over the past few years. On Monday night we’ll likely see a lot of new info on games that Sony announced last year: Spider-Man, Days Gone, Uncharted: Lost Legacy, and so on. As always, we can’t wait for the 45-minute block dedicated solely to Vita games. The big N says it will only be talking about 2017 games at this year’s recorded presser—the “Nintendo Spotlight”—but we wouldn’t be surprised to see some teases for 2018 as well. The main course will be Super Mario Odyssey, but we’d also expect to see revelations and announcements for other big Switch games this fall. Nintendo also still says that Xenoblade 2 is coming out this year, so maybe E3 is when we’ll hear about the delay. Note: We’ll be updating this post as more info is revealed.